The new look is minimal and elegant, with less clutter to sort through and plenty of white space. In other words, a lot more Material Design-like. 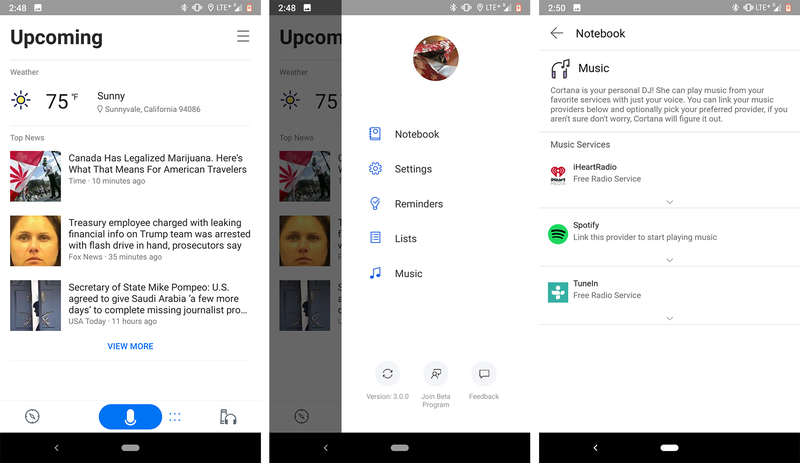 But it's not just a new aesthetic look — navigating the app is much more intuitive now, and Microsoft got rid of or consolidated a fair amount of stuff, including the unnecessary secondary tab on the home screen called "Interests." The information it held now just appears in the same home screen flow as all the "Upcoming" cards. Cortana's design as of v2.10. Microsoft is now in the process of working out kinks in v3.0, so anyone who wants a stable build will have to wait until that process is complete. Those interested in nabbing the potentially-buggy beta can enroll through the Google Play Store or nab it from APK Mirror. 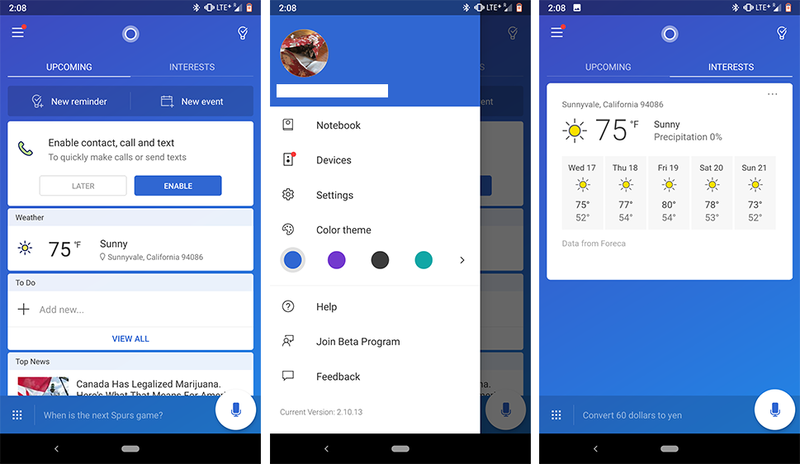 Cortana 3.0 has now left beta and is rolling out to all users on the Play Store. If you haven't received it yet, you can download the latest release from APKMirror.